With all the latest buzz surrounding marijuana, both recreational and medicinal, you might be among the inquisitive as to which marijuana strain to try. there are plenty of different marijuana strains to choose from and each one can be used for different health issues or benefits. Conditions such as chronic pain, anxiety, chronic fatigue, lack of appetite, motion sickness, etc can all be treated with marijuana. The trick is to identify which strain to choose to use for a health condition. You may have been struggling for years with a specific ailment and the thought of starting a new medical regime can feel daunting. However perhaps this is the time to explore the benefits of the marijuana plant. This article will assist you with a list of the top marijuana strains people have found to be most beneficial for their health benefits. More and more research is being funnelled into the scientific benefits of cannabis and how the components within the plant affect various health ailments. Thanks to a widening mindset and general growing acceptance we can see much clearer as to the true nature of this plant called marijuana. 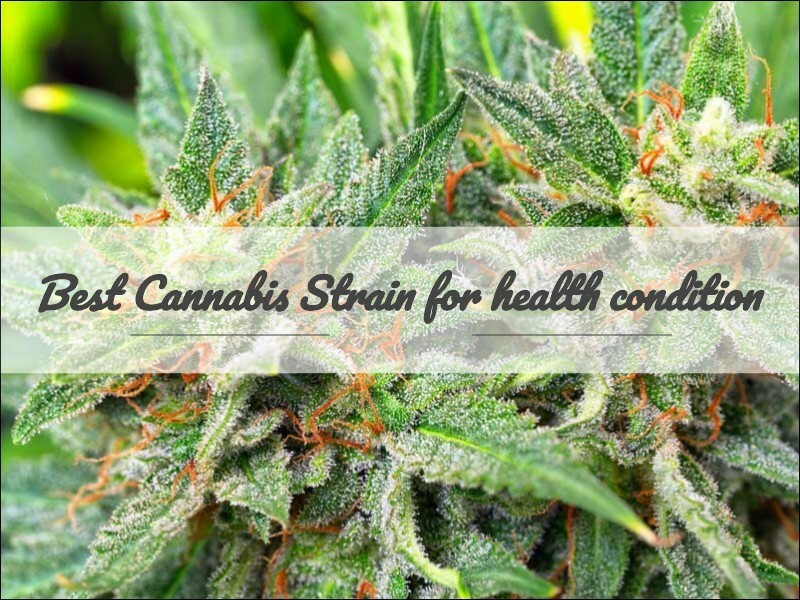 The following is a list put together of the best marijuana strains used in the United States used to treat health conditions. Got pain? Treat yourself with the smooth strain known as Afghan Kush. This strain is well known for its steady and calming effect, it has been reported to ease muscular pain and to relieve tension within the body. in the pain combat department we have runner up strain, Girl Scout Cookies. This strain is a hybrid of sativa and indica and many patients that suffer from chronic pain hail this as the perfect remedy. The hybrid blend of both sativa and indica is perfect for a day time remedy as the sativa brings in an energetic punch while the sativa works to calm the pain and send the body into a relaxed state. Digestive tract in a knot? Hybrids with a heavy Sativa influence are your best bet when in comes to dealing with issues of the gastro-intestinal variety. Strains such as Wille Nelson, Jean Guy, and even the more indica Hash Plant work well when combating inflammation within the digestive tract. The best is to opt for a Sativa dominant hybrid when you are seeking to address any issue from nausea to Crohn’s disease. Easing anxiety is a top priority for many first time marijuana users. The calming effect of more CBD heavy strains is the top pick for those needing to reduce anxiety. Especially if you are a first time user needing to use marijuana to reduce anxiety but are feeling a bit anxious about using cannabis for the first time. Strains that have a lighter note of THC yet a more dominant CBD percentage are perfect as the mind reacts well by easing into the high state with the gentle THC while the higher level of CBD works the magic. Strains to look to for this experience would be Cannatonic, 1:1 or Harlequin. ADHD and ADD can be treated with sativa dominant varieties such as Sour Diesel and more CBD concentrated strains such as Harle-Tsu and AC/DC. The sativa dominant strains are known to give a kick start to productivity and energy levels while the AC/DC and Harle-Tsu strains with their high CBD level increase mental focus and relax the physical body. These strains prevent too much of a heavy body high and sharpen mental focus. Post Traumatic Stress Disorder (PTSD) is one of the most highly reported condition among the population of America and there are many Americans who are turning to cannabis for its beneficial effects. Strains such as Afghani CBD are popular amongst users for its high CBD content which offers a deep relaxation and profound healing of the physical bodies. High CBD strains are popular amongst people wanting to receive the medical benefits but avoid the psychoactive activity that comes with other strains with a higher THC level. There are some THC patients that do look for strains that offer psychoactive healing as well due to the nature of their disorder. These patients should look to strains with a dominance in sativa. Strains such as Pineapple Express, Blue Dream or the gentler Strawberry Cough are a good option. Depression is a silent battle fought by many across many nations but the treatment of marijuana can shed some light on this silent disease. People with depression suffer from a lack of serotonin or norepinephrine and cannabis offers that pick me up or boost for the serotonin levels. Strains that are predominantly sativa are the best options. Strains that are a prime example of the perfect high for depression sufferers are Green Crack, Tangerine or Sour Flower. Migraines are one of the most overlooked ailments, mainly because those that have never felt the pain of a migraine cannot understand the suffering that it brings. A migraine is much more than a headache and most sufferers will admit that there is little to none over the counter medication that cures a migraine. Marijuana strains such as Cookie Jar and Dream Queen have however been reported to assist in relieving the pain and illness that a migraine brings. The symptoms that a migraine delivers is a vast range and these hybrid strains have a clearing effect on all of the symptoms. The strong sativa Dream Queen is known to calm queasiness and provides a smooth sedation without making you fall asleep. For severe pain where sleep is required, the pure indica Purple Kush is your best option. Insomnia and sleep disorders are a thing of the past with strains such as Blackberry Kush or Grape Ape. Both of these strong indicas are recommended for those that are requiring immediately sleep. If you are looking for a strain to provide a gentler path to sleep than try the White Cheese. The White Cheese is more of a balanced hybrid compared to the heavy indicas Blackberry Kush and Grape Ape. The latter two strains could potentially send you into a couch stupor while the White Cheese has more of a sativa touch, which prevents you from falling prey to the couch potato high. The big C- Cancer and the effect that cannabis has on all forms of this disease has been in the news for many years now. People are desperate to find alternative methods to either cope with the treatment thereof or to find a cure altogether. The health benefits that marijuana offers cancer patients move beyond treatment of nausea caused by chemotherapy. Some studies have produced results that show just how effective CBD can be for cancer patients. These studies showcase how CBD can potentially reduce the size of tumours. Ongoing studies are delving into the nature of CBD and how it can potentially be a cure for cancer. Before the concrete proof gets revealed on how CBD can be a cure for cancer, there are more than enough different strains that can be used to treat any number of symptoms. Whether it is relief from pain, appetite stimulation, restoration of cell damage or a end to nausea; there is a strain out there to assist in the dissolving of these symptoms. Most dispensaries and their personal are there to assist you in locating the right strains. find a dispensary that you feel comfortable in, one that has a wide variety of strains to choose from and staff that are friendly and knowledgable, in this way you are sure to find the most efficient strain to address your needs. Where Can I get Marijuana Coupons? We understand just how helpful marijuana can be to people suffering from various illness and aim to make it as easy as possible. While medical marijuana is reasonably priced, even a few dollars’ worth of discount can ease the financial burden. We always have cannabis discount code available with us, so you can enjoy discounts every time you order.